With Princess Half Marathon Weekend rapidly approaching, it's time to make sure you have everything you need. Here's a breakdown of some things you want to look at and what you want to print before leaving for your trip. Are you as excited as I am that it's next week?! It's helpful to take a look at this ahead of time – you can start planning what vendors you want to visit at the expo, get an idea of the layout so you know where to go and when, and start thinking ahead about your schedule. I like to have an idea of everything before I leave, it puts my anxiety at a more manageable level. Download the digital event guide here. You'll want to print your waivers ahead of time, so you can pop right on in to the expo and grab your packets. Now's a great time to look at the course to get an idea of where you'll be running, where the Aid Stations are, etc. 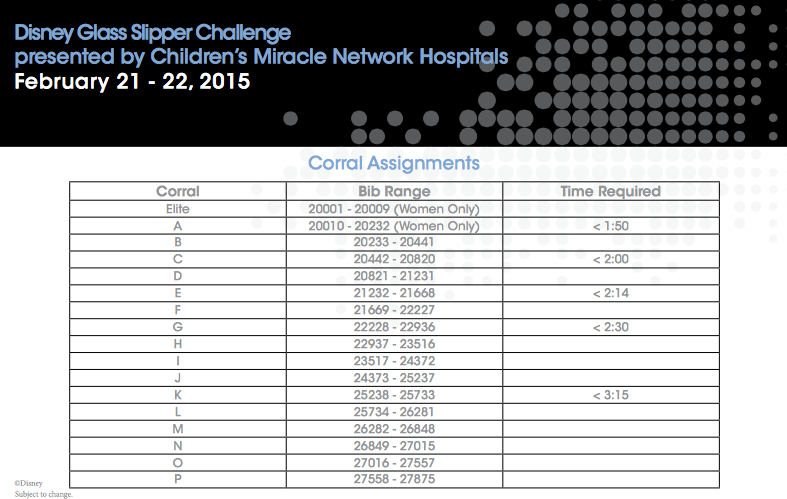 After your print your waiver (for Glass Slipper and Half Marathon participants), you can find what corral you are in based off of your bib number. Make sure to fill out the emergency medical information on the back of your bib before race day. I'll be in L for the Glass Slipper Challenge, so if you're in the same corral let's try and meet up :) Generally, before the race, I meet up with other pals to hang out before we have to enter the corrals. All runners are required to attend the runDisney Health and Fitness Expo for race number and packet pick-up. You will need to download your personalized race number pick-up card/waiver form online and bring it with you to Packet Pick-Up at the Expo. 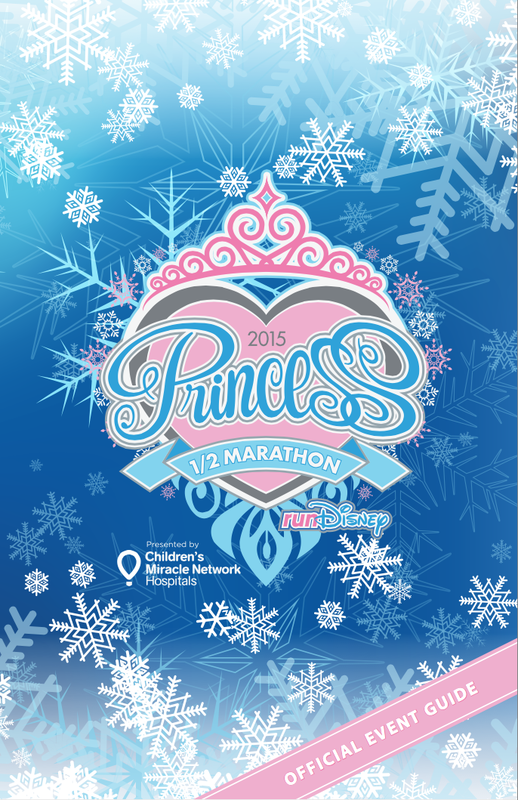 Also take note - if you are participating in the Glass Slipper Challenge, you'll need to take your photo with your bib. If it's set up like it was at Marathon Weekend, after you get your packet, on your way out, they'll have workers/volunteers telling you where you need to go. 1 Mile Run - 8:45 a.m. Yes, I'm sure you know what you're doing :) Hope to see you there!